Bradgatia was first described in 1995 from Charnwood Forest, U.K. as the monospecific genus Bradgatia linfordensis. However, recent discoveries have shown that there may be additional species of Bradgatia. Bradgatia is a rangeomorph composed of multiple primary branches that emerge from a single point. This body plan, described as 'multipolar', gives it an appearance similar to that of a lettuce. Bradgatia ​interpreted to have lived tethered to the seafloor. Depending on the strength of the currents they was subjected to, Bradgatia specimens can be quite circular in outline, or very strongly aligned. Bradgatia can be reasonably abundant on bedding planes, but it is rarely the dominant taxon on a surface. 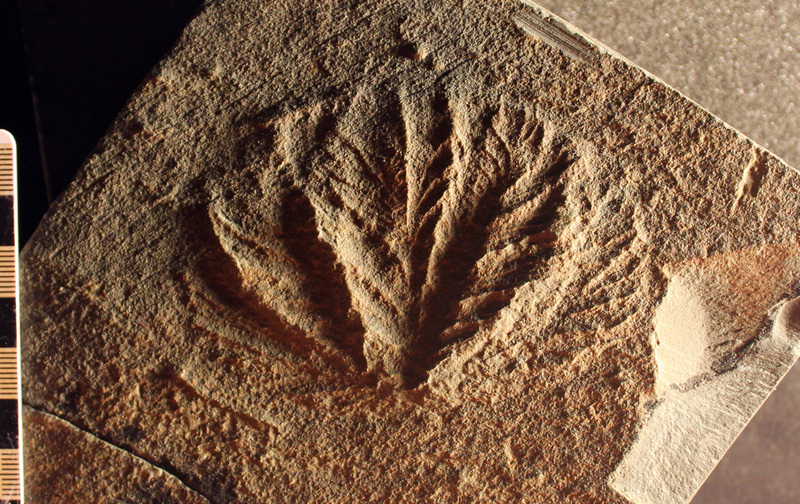 Some individuals from Newfoundland are amongst the most exceptionally preserved of any Ediacaran fossils, and they can also be amongst the largest, reaching in excess of 50cm in diameter. The smallest Bradgatia specimens are just under 4cm in length, so the very earliest stages of Bradgatia's growth are yet to be determined. Flude et al., 2008: description of Newfoundland specimens. A Bradgatia specimen from Newfoundland, Canada. This specimen was collected in the 1970s and is now in the collections of the Royal Ontario Museum, Toronto. Specimen ROM 36500. 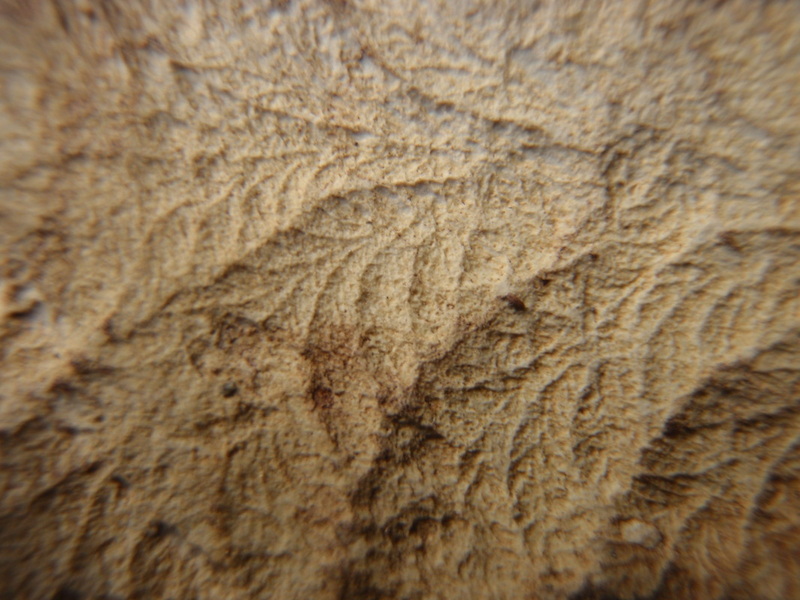 Close-up of rangeomorph branching within a Bradgatia specimen from the Bonavista Peninsula, Newfoundland. Frond unipolar, with subsidiary growth tips present in mature specimens, at the distal ends of large first-order branches. First- to second-order branches tend to be distally inflated. First-order branches comprise two rows of second-order branches with the freedom to overlap and rotate. First-order branches arranged in radiating series, alternating along a furled central axis. Towards their bases (and often in juvenile stages), first- to second-order branches typically furled and sometimes rotated, but rangeomorph elements become progressively displayed and unfurled in the direction of growth. A basal disc is not confirmed.